Client Events Across Ontario – What’s On! There are so many fantastic events happening across Ontario, and the Ontario Cultural Attractions Fund is a proud supporter of many of them. Add us to your address book to stay connected with OCAF events in your community! September 27 – September 29 Come celebrate Belleville Culture Days 2013! This year’s event lasts all weekend long and incorporates many cultural activities including: “The Art Walk”, in partnership with local galleries, studios and the Quinte Arts Council; “Doors Open Quinte”; the “Music Crawl” in 10 local restaurants and cafes; a film and literary festival with poetry readings, book signings and literary films,. There’s even more with community mural and community sculptures and “Flavours of Fall”, a special culinary event in partnership with local restaurants on Saturday. Visit www.rediscoverdowntown.ca for more information. October 3 – October 6 It’s the Canadian Comedy Awards Festival! Now in its 14th year, the CCAF is expanding on its years of success and featuring new and improved shows and activities, including doubling venues from three to six, expanding gala performances from one to three and a record-breaking twenty three shows to choose from! The Comedy Pavilion at Marion Dewar Square is a new addition, presenting the history of Canadian comedy with a focus on Yuk Yuks and The Second City. In addition, it includes an interactive section where attendees can perform in their own version of the Great White North on a replica of the actual set of the show. The exhibit will be a free, family – friendly and fun! Visit www.canadiancomedy.ca for more information. “Ghost Dance. Resistance, Oppression, Power in Aboriginal North America” will be presented in the multiple gallery spaces of RIC. Using a combination of commissioned works, existing works and the Black Star Collection. Click the image below for their Vimeo trailer! Soulpepper Theatre Company “Angels in America” ” the a Pulitzer Prize-winning play in two parts by American playwright Tony Kushner – the Angels Vimeo trailer is below. mtspace Impact 13 conference – The schedule has been revealed for Staging Occupation: At the Crossroads of Multiculturalism & Indigeneity. The conference takes place from September 26th – 28th with a pre-conference welcome and opening reception in the evening of September 25th. Click the image below for their YouTube trailer! Landslide: Possible Futures Land|Slide Possible Futures is a groundbreaking large-scale public art exhibition which responds to a world in transition where the past, present and future collide. The landscape of Markham will be transformed by the work of over 30 national and international artists to explore themes of multiculturalism, sustainability, and community. Landslide Vimeo is below! 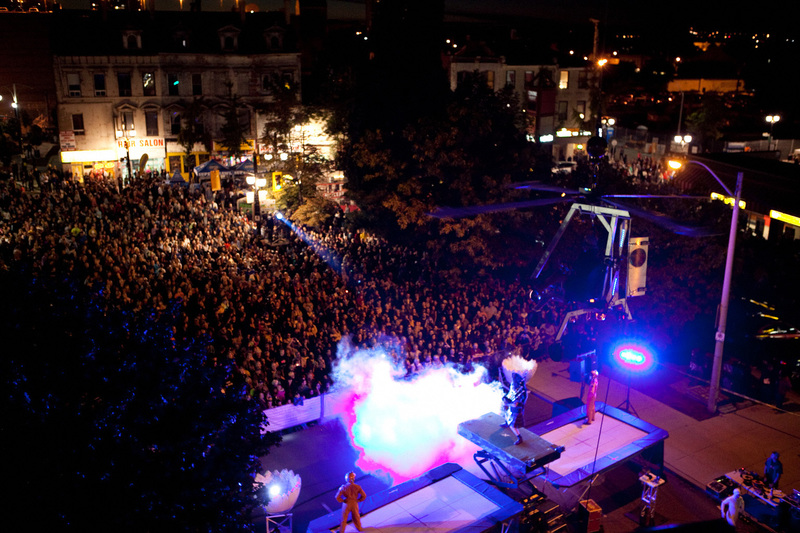 The Ontario Cultural Attractions Fund would like to congratulate the Supercrawl 2013 team on their overwhelmingly successful weekend in downtown Hamilton! Client Events Across Ontario – What’s On! September 13 – 25, 2013 There are so many fantastic events happening across Ontario, and the Ontario Cultural Attractions Fund is a proud supporter of many of them. Add us to your address book to stay connected with OCAF events in your community! September 18 – September 22, 2013 Canada’s Walk of Fame (CWOF) is an established and internationally recognized brand unlike any other. Founded in 1998 as a way to permanently recognize and celebrate Canadian excellence in music, film, athletics, the literary, visual, and performing arts – compelling and inspirational stories that should be woven into our cultural fabric, CWOF celebrates its 15th year in 2013 of engaging Canadians in celebrating those who have excelled in music, sport, film, television, as well as the literary, visual, performing arts, science and innovation, as well as inspiring the next generation of emerging talent. Visit www.canadaswalkoffame.com for more information. September 20 – September 22, 2012 A one of a kind gastronomic event is taking over the heart of Toronto, one that promises to reveal the flavours of the Americas, local artists and talent: The PAN AMERICAN FOOD FESTIVAL! From September 20th to the 22nd, the first annual PAN AMERICAN Food Festival will showcase the best of the best food products, celebrating the great cultural diversity of the 41 countries of North, Central and South America, and the Caribbean. A cultural festival of art, music and folklore will enhance the food experience to celebrate the region’s diverse cultural expression. Visit www.panamfoodfest.com for details. September 21 to October 13, 2013 A monumental, site-specific curated public art exhibition Landslide: Possible Futures will be staged at the Markham Museum, a 25-acre open-air museum, from . A collaboration between the Markham Museum and Public Access, the goal is to create conversations about our “planet-in-transition” by exploring themes of sustainability, urbanization, land use, food and farming. This project will re-imagine what it means to live sustainably in Markham, a rapidly urbanizing area with prime agricultural land and one of North America’s most diverse communities. Organizers have invited over 30 international, national, and local artists who work in a variety of artistic media (from sculpture to data visualization) to transform the space at the Markham Museum’s Heritage site By presenting creative and challenging artworks outside of a typical gallery setting, Landslide will contribute to a growing public dialogue within Markham, Toronto, the GTA, Canada and internationally about how we live in and plan for a planet in transition. Visit www.markham.ca for more information. An annual multi-arts, interdisciplinary collaborative event that celebrates the unique mix of cultures, businesses and creative people who work along James Street North – the thriving hub of Hamilton’s art community. It is an outdoor event that currently boasts a variety of art installations, live art performances, music stages, and many indoor exhibitions in various galleries and venues along the strip. Visit www.supercrawl.ca for more information. —————————————————————————————————————————- Client Events Across Ontario – What’s On! There are so many fantastic events happening across Ontario, and the Ontario Cultural Attractions Fund is a proud supporter of many of them. Add us to your address book to stay connected with OCAF events in your community. Guelph Jazz Festival 20th Anniversary, Guelph ON. 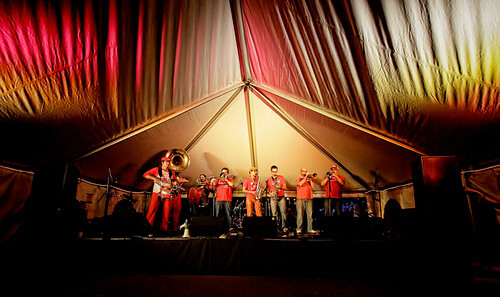 September 4 – 8, 2013 Called “one of the country’s most visionary musical events” (Globe and Mail,)”the hippest place on the Canadian jazz scene” (NOW Magazine) and The Wire (UK) referred to it as “an essential stop on the North American festival circuit for lovers of creative improvised jazz”. Guelph Jazz Festival is celebrating its 20th anniversary. Visit www.guelphjazzfestival.com for more information. Ottawa Folk Festival, Ottawa ON. September 5 – 8, 2013 – The Festival is doing so well, they’re extending Hog’s Back Park! This expansion means the Festival means larger acts, double the amount of programming with four night time and two daytime performance periods and a second stage. The Festival is also adding an additional 12 performances/workshops on the Free Side of the Festival Visit www.ottawafolk.com for more information. The Bay Street Film Festival, Thunder Bay, ON September 5 – 8, 2013 The Festival will present a total of 40 films over 10 screenings during the Festival. The 2013 Festival will have a circumpolar theme, presenting films from Northern filmmakers. Now in In its 9th year, the Festival programming has expanded this year by adding a new Gala event on Wednesday evening to start the Festival with live music and performance; and an additional outdoor screening at the Prince Arthur’s Landing marina public park on Friday evening. Visit www.baystreetfilmfestival.ca for more information. Coming soon to a theatre near you – it’s the Toronto International Film Festival! OCAF is pleased to be part of the Festival as the sponsor of “David Cronenberg: Evolution – A Celebration of Canadian Cinema at TIFF Bell Lightbox”, a major retrospective gallery exhibition taking place between September 6, 2013 and January 20, 2014 at the TIFF Bell Lightbox and the Museum of Contemporary Canadian Art (MOCCA) in Toronto. For more information visit www.tiff.net ………………………………………………………………………………………………………………………………. The Ontario Cultural Attractions Fund (OCAF) is pleased to announce the appointment of a new Chair and Vice-Chair for its Board of Directors.John D. McKellar, C.M., Q.C., will become Chair of the Board, following the sad passing of Dr. Murray Frum this spring. ” McKellar said. “My fellow board members are active and passionate members of the cultural sector and I’m thrilled to step in as Chair at this important stage in OCAF’s development, celebrating 15 years supporting Ontario cultural tourism.” Nalini Stewart, O.ONT., will assume the duties of Vice Chair of the Board. September 21 to October 13, 2013 A monumental, site-specific curated public art exhibition Landslide: Possible Futures will be staged at the Markham Museum, a 25-acre open-air museum, from . A collaboration between the Markham Museum and Public Access, the goal is to create conversations about our “planet-in-transition” by exploring themes of sustainability, urbanization, land use, food and farming. This project will re-imagine what it means to live sustainably in Markham, a rapidly urbanizing area with prime agricultural land and one of North America’s most diverse communities. Organizers have invited over 30 international, national, and local artists who work in a variety of artistic media (from sculpture to data visualization) to transform the space at the Markham Museum’s Heritage site By presenting creative and challenging artworks outside of a typical gallery setting, Landslide will contribute to a growing public dialogue within Markham, Toronto, the GTA, Canada and internationally about how we live in and plan for a planet in transition. Visit www.markham.ca for more information.